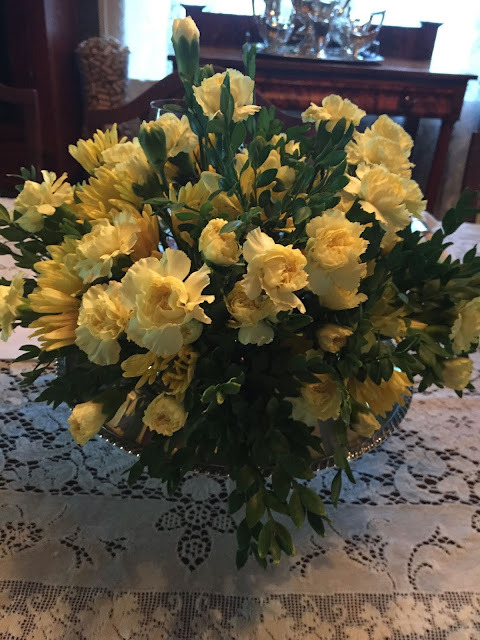 The beautiful bouquet of yellow carnations in a silver bowl was the centerpiece. That was on Tuesday night . 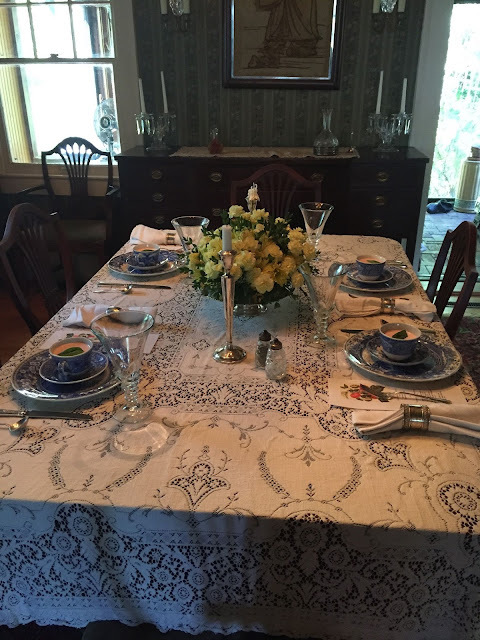 . .
And Spode Blue Room once again is dinnerware of choice! And I certainly got my money's worth out of them! 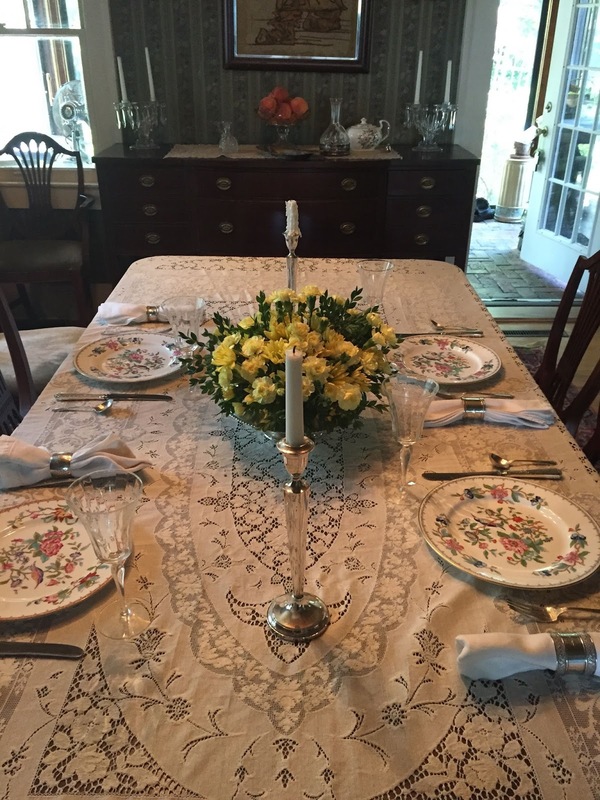 And always sets a pretty table. 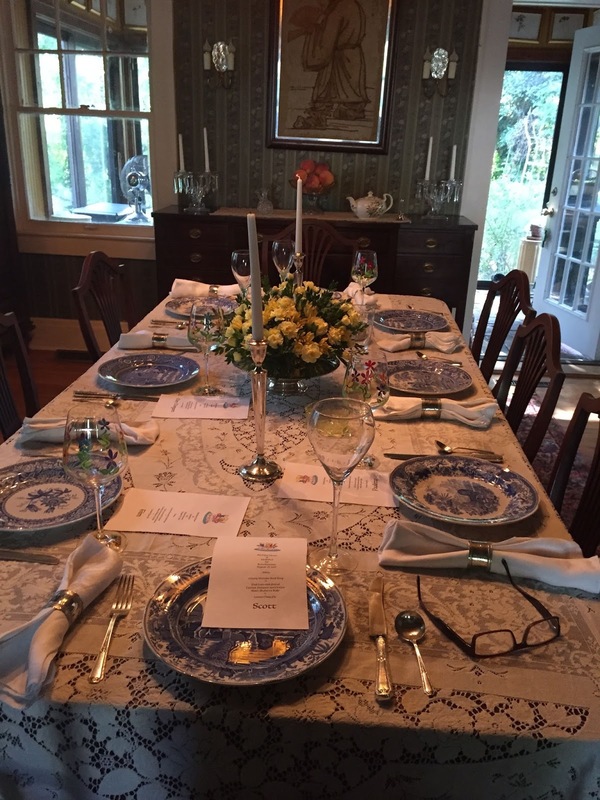 it didn't matter if that same centerpiece served for five separate meals! It's Friday and I'm sharing my parties with Michael at Rattlebridge Farm for Foodie Friday. Your tablecloth is so pretty and I recognize your Aynsley Pembroke because we had some pieces at a sale last week and I had to look them up. You were busy. You set a beautiful table!! 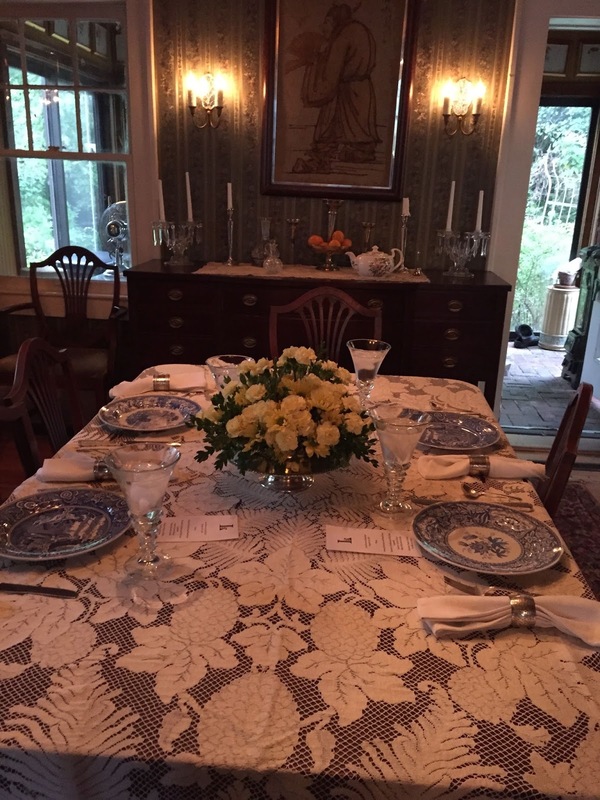 You certainly know how to set an inviting table. The flowers were perfect for each and every meal. And you are right about the dishes. No need to have different sets for every occasion. I love your tablecloth, candlesticks, everything!!! Martha, each of your tables is beautiful! I don't know how you do it-- how can you even keep track of all those parties and how can you even get everyone invited? You're amazing! Your centerpiece is definitely "florists quality", dear friend!!! I adore the arrangement!!! Something I still strive for is floral arranging!!! 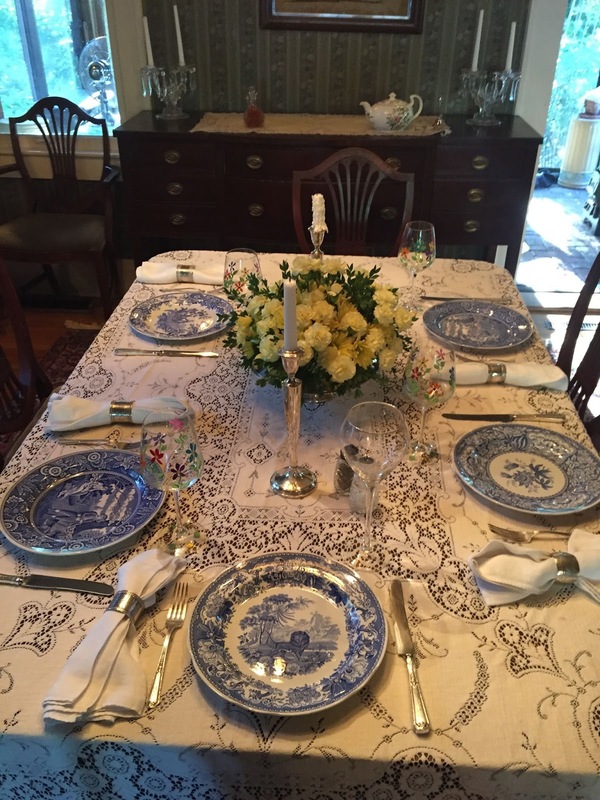 I adore your Timeless Classic Blue and White dinnerware!!! The Aynsley Pembroke, too, is Classic and makes my heart swoon!!! Thank you for the gentle reminder that it's alright to purchase 'real' flowers!!! I always reach for faux. . .but perhaps, I'll give "the real deal" a chance, soon!! !